MOSCOW — Investigators in Moscow said on Monday they were unable to retrieve information from the damaged black box of a Russian warplane shot down by Turkey last month, data the Kremlin hoped would support its version of what happened. Russia's Defense Ministry publicly opened the recorder last week, hoping its contents would confirm Moscow's assertions that the bomber did not stray into Turkish air space and was maliciously downed. "Retrieving the information and a read out of flight data ... has proven to be impossible because of internal damage," said Sergei Bainetov, the Russian Air Force's deputy head of flight safety. Bainetov said 13 of the flight recorder's 16 microchips had been destroyed and that those remaining were damaged. Russia will now seek help from specialists, he said, saying "a lot of time" would be needed to try to achieve a breakthrough. Russian President Vladimir Putin accused Turkey of "stabbing Russia in the back" and ordered a raft of retaliatory economic sanctions against Ankara. Turkey says the warplane, part of Russia's Syria-based strike force, strayed into its airspace and ignored repeated warnings to leave. 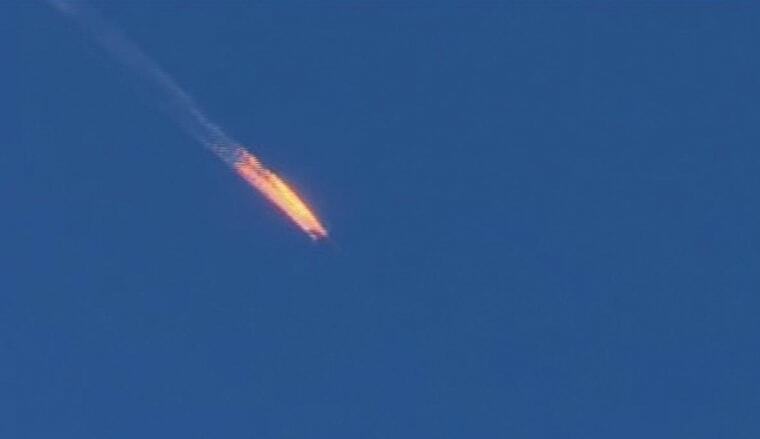 Russia says the plane did not leave Syria and posed no threat to Turkey.